Here is a nice personalized gift for special occasion as Father's Day. 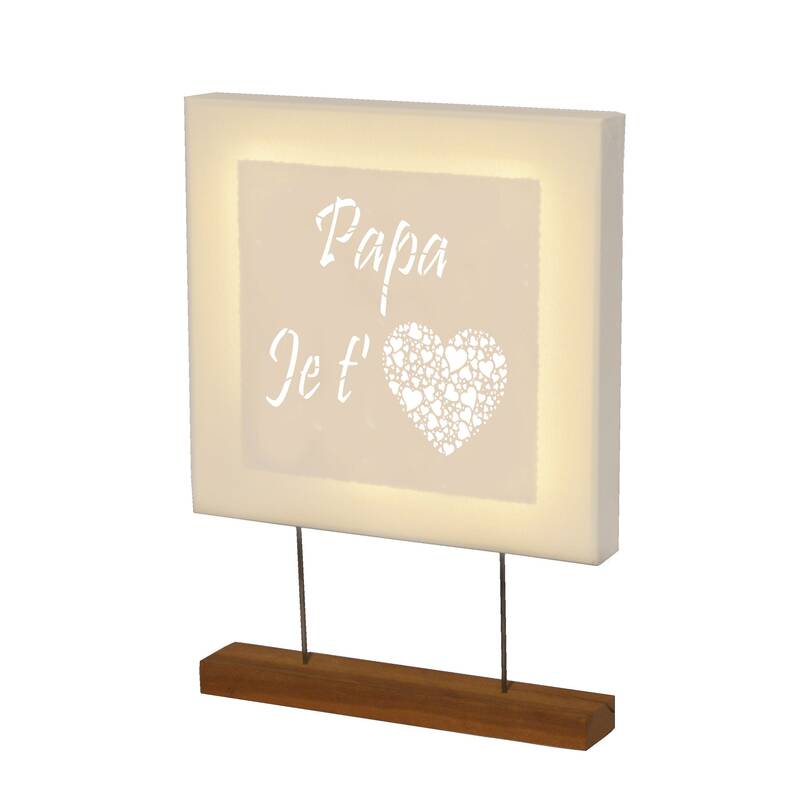 Choose your little message that we will cut by hand on a square and white canvas (29cm x 29cm). The whole canvas is illuminated by a garland of LED battery operated. A small discreet switch is positioned on one side of the board so you can place it wherever you want. A nice wood and metal support will put your canvas in value. However, if you want the table without support, please specify it when ordering.